Every fan probably wanted the Beatles on their wall. 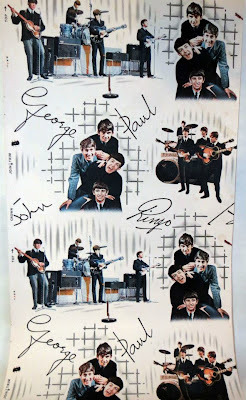 Most had pictures, some would have had wallpaper. 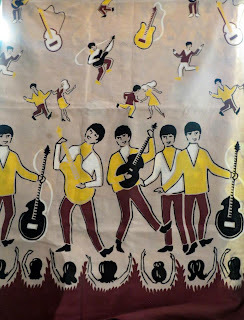 Below is a section of fabric featuring a brightly coloured Beatles design. The full piece measures 86cm x 196cm approx. This is being placed in our auction too, it carries an estimate of £30-£50.